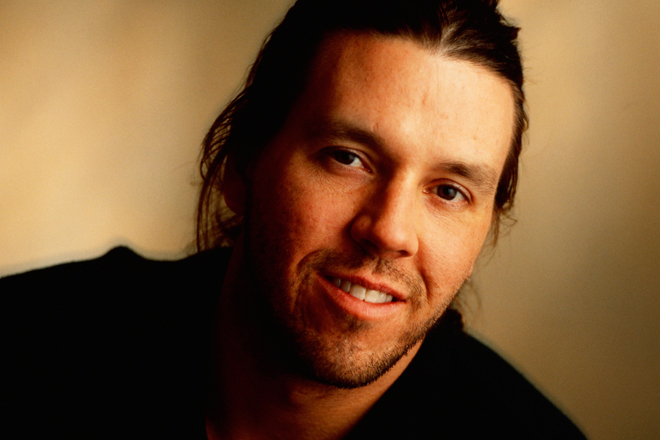 I found this recording of the famous post-modern novelist, cultural critic, essayist, and educator David Foster Wallace delivering a commencement speech at Kenyon College. The words are all the more haunting knowing that Wallace hanged himself Sept. 12, 2008 after a lifelong struggle with depression. The main focus of the speech is the “human value” of a liberal arts education. For Wallace, an ideal education provides “awareness” of our world and our way of processing the world. As someone who suffered from depression, Wallace clearly understood the tyranny of a mind mastering reality, the way it warps and weaves impressions into a gloomy, self-destructive haze, leaving one alone in a world of friends. But equally destructive is the closed-minded comfort that creates destructive prejudices or what Wallace calls our “default setting”: the self-focused way we narrate, judge, and arrange our life. In itself, this is innocuous, but when we start to think our reality is the norm or the “right” way of doing things, a process called “normative hubris,” we can become destructive. As the blog and book You Are Not So Smart argues, our “rational” or “informed” opinions are often biased rationalizations. Some of these biases may be cultural or biological, but many are self-created, or at the very least, they can be self-controlled. This, argues Wallace, is the goal of the liberal arts education: the ability to recognize this hubris and ignorance and do our best, if possible, to keep it in check. It grants us the ability to recognize the most basic thing, the way we explain reality. Wallace’s unique addition is the painful awareness he has over his own limitations and the poignant, almost Zen-like awareness that the simplest, most pervasive things are the most hidden. Wallace opens the speech with a didactic story about two young fish swimming. Coming the opposite direction, an older fish swims by them saying, “Morning boys, how’s the water?” The two younger fish keep going, and eventually one of the fish turns to the other and asks, “What the hell is water?” The very fabric of their existence is far from obvious. As someone who works as a T.A. for a freshman composition class and in a writing center that aids students with the composition process, I’ve come to reach a similar point of view–I hesitate to call it a conclusion. Now on the other side of the desk, where I’m supposed to provide “knowledge” or “guidance” to new students, I painfully recognize the subjectivity of it all, the hubris of trying to “teach” someone how I see the world. Instead, I just want to make them aware–aware of the world around them, with its conversations and conventions, and how they fit into it. What their own voice has to say. Or what their own voice has misidentified, misunderstood, or overgeneralized. But I often feel torn between the immediate goals of polishing up their arguments, correcting their grammar, or getting them a good grade and this much more idealistic, long-term longing. Moreover, I often struggle with normative hubris or unaware auto pilot in myself. Sorry for the absence, it’s been the final weeks here at school, so I have been grading, tutoring, and working on final papers like crazy. Expect a post this Sunday, but in the meantime here is a link to the first part of a documentary about a poet I wrote on this semester named Charles Olson. The rest of the documentary is online as well. Olson, considered the foundational figure for the “projective verse” movement and a key figure for New American Poetry, was a well-read and fascinating character. Born Dec. 27, 1910 in Worcester, MA, to a postman, Olson spent most of his life in the small fishing town of Gloucester, MA, where he wrote his most famous work, The Maximus Poems. He read voraciously, and through his own work as a postman in and around Gloucester, he developed an intimate eye for detail. This latent curiosity and a love of history spurred his studies at Wesleyan and Harvard, where he became a critical expert on Herman Melville, prompting his 1947 book Call me Ishmael. Besides his poetry and 1950 critical essay “Projective Verse” Olson’s most well-known accomplishment was his time teaching at and directing Black Mountain College, a small liberal arts school near Asheville, NC, that acted as a gathering point of avant-garde teachers and students from its founding in 1933 until it closed in ’57. Some of its faculty and students included Robert Creeley, Ed Dorn, John Cage, Josef Albers, Robert Duncan, Allen Ginsberg, William de Kooning, and more. One of his most original idea is the notion of “polis.” Drawn from the Greek word for city state, “polis” for Olson constituted the ability of a certain local area to connect to and mirror the world. Olson, a historian and observer by trade, studied the records, geography, and people of his local Gloucester, and by doing so, he laced his personal memories and existence into the geography and history. Synthesizing the personal connection and history, he was able to create an overlap, where the personal bled into the historical and geographical. This was polis: seeing the “totality of the system” by “inverting” it, the macrocosm through the microcosm. Olson, however, was a controversial figure. He was opposed to the capitalism that now directs our everyday way of life, seeing it as a “mu-sick” that flooded out and leveled down polis. And his larger-than-life personality, at 6-foot-seven, was as well known as his womanizing and dismissive attitude toward most women poets. Some also think his writing and presence at Black Mountain and elsewhere assumed the role of a high prophet or Zen master, didactic and needlessly cryptic. While some of these criticisms may be more accurate than others, one has a hard time doubting Olson’s influence or intelligence. And taking a leaf from his own book, I encourage anyone interested in him to do their own research, this documentary providing an engaging start. Enjoy.